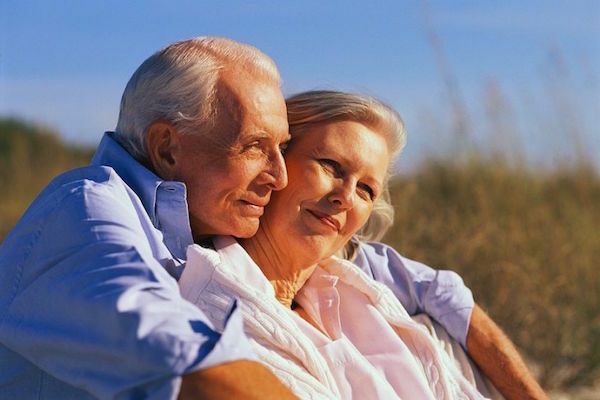 As you envision your golden years, you may picture a time in your life filled with medications and trips to the doctor. While you may need some level of medical service as you age, you can still integrate natural, healthy strategies to make these years enjoyable and well-lived. Even if you had the ability to eat as much junk food as you wanted when you were a teenager, that doesn’t mean you can still approach meals the same way now. While having a treat once in a while is not a bad idea, you should make the bulk of your meals filled with healthy foods, such as lean meats, vegetables and fruits. Eating the right food can help to protect your body against disease and to provide you with more energy. You may reach a point in your life where you begin to feel anxiety or depression about dreams that you did not fulfill. Before you reach that negative mark, take the time to consider these goals. You may still have the opportunity to fulfill them even if you need to amend them in some way. For dreams that you have to let go, come to terms with the parting now before you are consumed with negative emotions. While you want to enjoy your golden years, you may find that some previously easy tasks are now difficult for you. For example, operating a vehicle may render it challenging to get to your favorite activity, or you may realize that you are constantly forgetting to take your medications. When living by yourself becomes a hazard, consider nursing home care. At these facilities, like The Scottish Home, you can receive the health care that you deserve, and you can still engage in a variety of meaningful activities. Nursing homes often have a host of both activities and events. Uncovering spirituality has different meanings for different people. Some like to start attending religious services again after many years or decades away; others enjoy practicing a new religion or spiritual. Still others find a sense of secular spiritual; they grow closer to their inner selves through yoga or meditation. Reaching into this part of you can help you to feel a sense of calm. When you were in school or at your job, you probably found that your days were filled with obligations. Although you may have wished for fewer obligations at times, those responsibilities provided you with a purpose. As you no longer attend classes and you retire, you may begin to wonder if you are using your talents to the fullest. Fortunately, many communities have activities for seniors of all ages. Therefore, you could go to a community center to mingle with other people, take art classes or sign up for instruction in an athletic activity. Health has many definitions. At the core, you want to feel good about your body, mind and spirit. Learning how to find new activities that suit you and discovering inner peace are two important parts of making your golden years healthier without the assistance of medication.